Check your emails! 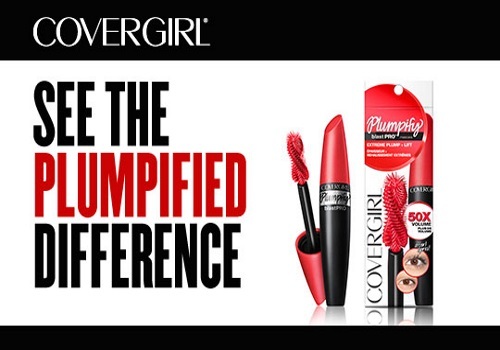 Bzzagent has a new campaign for CoverGirl Plumpify mascara! This Bzz-Beauty campaign is for bzzies in Canada! Check your emails or login to your Bzzagent account to see if you received an invite! If you didn't get an invite today there may be more coming! To ensure that you get chosen to as many campaigns as possible keep your Bzzsscore high and complete any remaining tasks on current campaigns that you are in. Not every Bzzagent member gets chosen for every campaign, it will depend on demographics and how you answer your survey questions (keep those up to date too, they are always adding me ones). Thanks to reader Anna-Maria for letting us know about this campaign! Did you get in? Let us know on our Facebook Page. Click here to join Bzzagent is you haven't yet.